The following post is by Pat Anderson, former interim executive coordinator of the Cooperative Baptist Fellowship and editor of Christian Ethics Today. 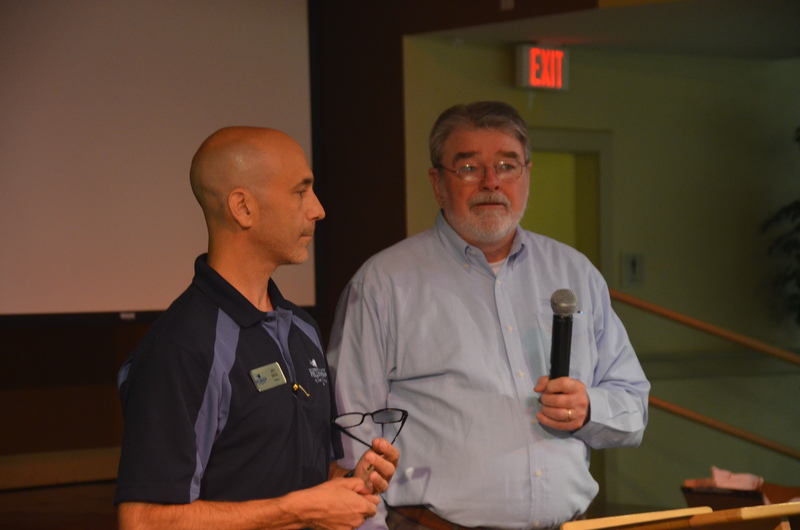 Pat Anderson (r) at CBF Movement Leadership Team Summit at First Baptist Church, Decatur, Ga., August 27, 2013. It is said that many of the people who were present during President Lincoln’s Gettysburg Address did not hear the President’s speech, were unaware of its import, and only later were able to read the text in newsprint. Of course no video or voice recording was made, no one captured the immortal words on a cell phone, and hardly anyone immediately reacted to that historic speech. It became iconic with time. My experience with Martin Luther King’s “I Have A Dream” speech on the Washington Mall in 1963 is sort of like that. I do not remember it in real time. As a young underclassman track athlete at Furman University, April in 1963 was full of classwork and track meets. I do not remember any conversation about the March on Washington on our campus. No mention was made in my classes, no posters were hung. My teammates and I were aware of Race, of course. Although Furman was all-white at the time, track was an integrated sport throughout the country, and our nationally-ranked mile relay team was often the only all-white team in a race at places like Philadelphia or New York. We traveled throughout the country. One night, as we drove through North Georgia returning from a track meet in Alabama, we passed a KKK rally taking place in an open field. It seemed like a great carnival to us, and we decided to pull over and check it out. I had recently purchased an 8mm video camera with a zoom lens, a really innovative piece of technology at that time. We began to mingle with the KKKers and experience this cultural event. I became separated from my teammates as I focused on filming the occasion. Crosses were burning, a grizzled man stood on a farm wagon and preached about the dangers of a “Mongrel Race” which the klansmen believed would result from white girls and black boys going to school together. As I walked around, I kept my little camera rolling, zooming at will at the white-robed klansmen circling the burning crosses. I did not notice at first that their marching began to encircle me, but finally a large crowd pressed around me and began to talk pretty roughly to me. They demanded that I stop filming. I was unaware that cameras were forbidden at KKK rallies. I heard one fellow say, “Show us them pictures!”, as if I could pass out eight-by-ten glossy prints. They grumbled awhile, but let me go, and I rejoined my teammates at the cars and we sped away. I still have some fragments of that film. At a track team reunion last Fall at Furman some of us reminisced and laughed about what could have been a really bad night for us. So, yes, we were aware of Race. We saw the billboards across the south with Martin Luther King and Castro side-by-side claiming King to be a communist. Hatred was endemic. It was a few years later that “I Have A Dream” hit deeply into my soul. It was after the assassinations of John Kennedy, Dr. King, and Bobby Kennedy. The killings of Malcolm X and Medgar Evers sensitized me. Little girls bombed in Birmingham and school buses set afire caught my attention. Television became central in our home, and Carolyn and I became deeply affected by Race and injustice by the late 1960s as we were able to see for ourselves the film of the March on Washington for Jobs and Freedom, the speeches, President Johnson’s Great Society emphases, the war, riots, and other signs of our times. 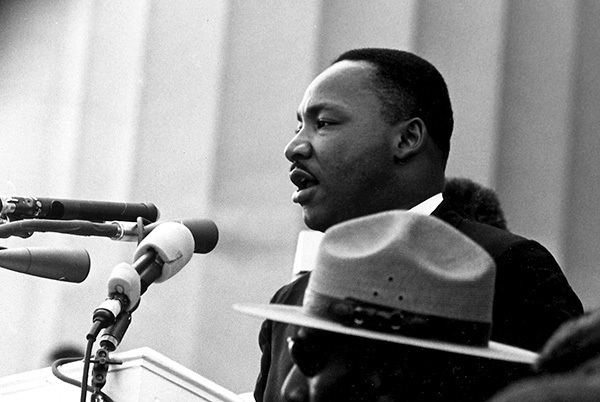 Today, 50 years after 1963, as we relive that day on the National Mall, whether or not we were actually there, I cannot help but feel that full import of Dr. King’s speech, and the others delivered that day, have yet to be realized. Injustice, inequity, incivility, poverty, disadvantage and hardship still plague our country. We have come partway toward the nation proclaimed in America’s founding documents, but we are still a long way off. If, as Dr. King said, the moral arc of the universe bends toward justice, I pray that arc will accelerate, and that people like me and you will help make it so.